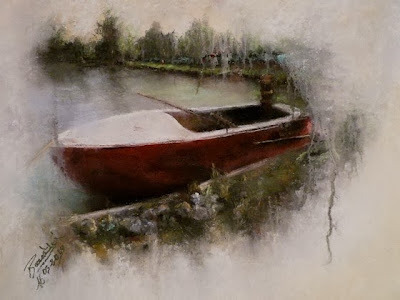 Bio: Born in Libourne, on the Dordogne (Christian Signol’s “La rivière espérance”) in 1952, Marie-Christine Coupillaud lives in the south-west of France, at Artiguelouve, near Pau, where she took watercolour lessons before experimenting with oil paint and finally discovering pastel in 2000. After working on her own in her studio, she took two training courses with the professional artists of the Société des Pastellistes de France in 2004 and 2005. Her work attained sufficient quality to enable her to later participate in the International Pastel Festival in Feytiat, near Limoges. She also exhibits with the Société des Amis des Arts de Pau. Her work has won numerous awards, and accolades in the press. Subjects: Landscape, especially mountains. 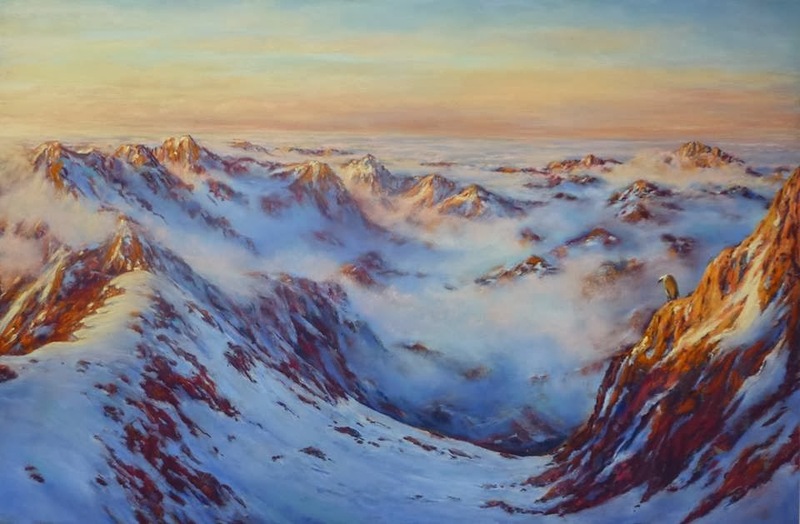 One of the few pastellists this side of the Atlantic who paints a lot of mountains, with the exception perhaps of Andrew Hemingway. Also, seascapes; still life; animals. Style: Realism tempered with a painterly approach. Navigation: This website is in French, and in English. Gallery: The Pyrenees; the Countryside; Venice; Animals; Still Lives; The Ocean. Image View: The presentation of images is unique among websites I have seen to date. There is a series of viewers for thumbnails on one side, and the centre of the page has two large viewers for the main themes. The thumbnail viewers play the thumbnails in series, but may be enlarged to occupy the centre stage. Pictures cannot be downloaded as such, but one can always use Prt Sc to save the screenshot. 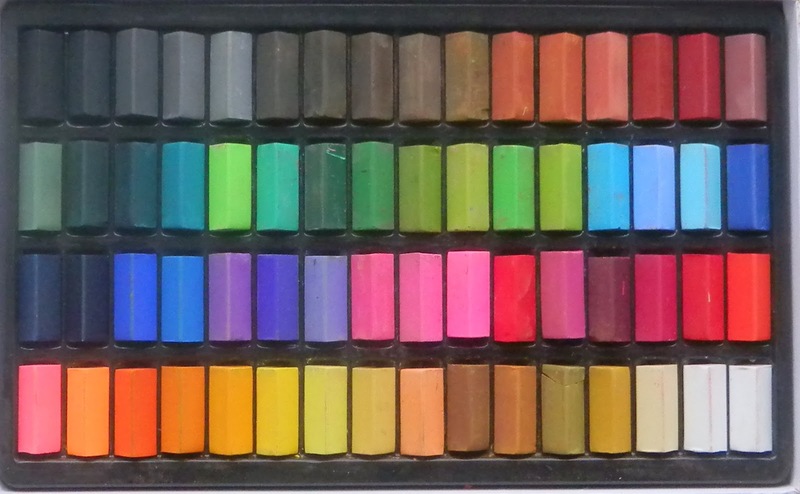 Jackson's Pastels are new to me (as of November 2013) and are manufactured by Jackson's Art Supplies. The full set consists of a modest 64 colours supplied in square half-sticks. There is a very useful range of neutrals in grey and in earth shades; two rather day-glow shades of pink and orange respectively; and a set of blues and greens that includes shades for blue and turquoise seas. When I checked the catalogue the full set appeared to be retailing at an astonishing £7.95 - at that price they are perfectly pitched at the beginner who wants a decent range of colours without breaking the bank. This set retails at the price of about 3 full sticks from the main pastel makers. I have given them a brief trial, and they glaze well over existing layers on paper such as Canson Mi-Teint Touch. They are much softer than Nupastel, and harder than Blue Earth - somewhere in the region of Rembrandt perhaps. There is no colour chart, so I have photographed the set for posting here. I have no information on light-fastness or pigment to binder ratio at this time. Bio: Loriann Signori graduated with a Bachelor of Fine Arts from the Swain School of Design (now part of UMass at Dartmouth) and went on to pursue a Master of Fine Arts, graduate honor awards in the American University, Washington, D.C. 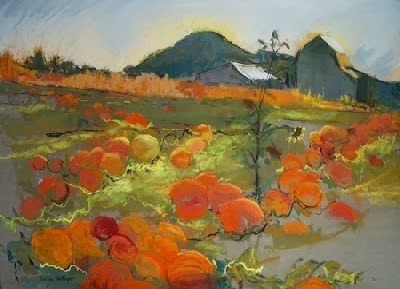 Her awards include 1st place Montgomery Art League in 2003, 2004, 2006, 2007, 2008, 2009, and 2010; 1st place, Shades of Pastel, National Exhibition, 2009; and Best in Show, Maryland Pastel Exhibition, 2009. 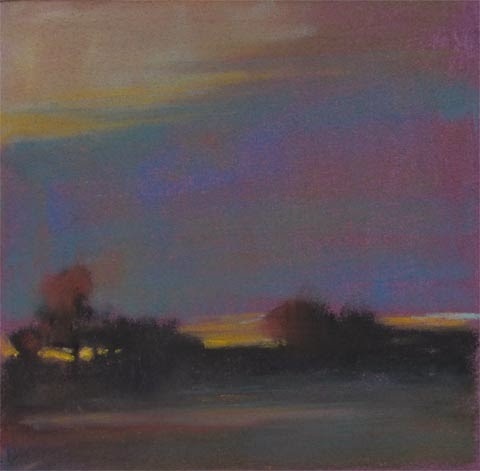 (She is a Signature Member of the Maryland Pastel Society). Gallery Representation: Waverly Street Gallery, Bethesda, Maryland, and John Matthew Moore Gallery, McLean Virginia. Loriann lives and works in Silversprings, Maryland. Style: Impressionistic, Loriann states that she is a painter of luminosity. She has been influenced by Hans Hoffman, Rothko, Wolf Kahn and Richard McKinley, in particular their work with colour temperature. 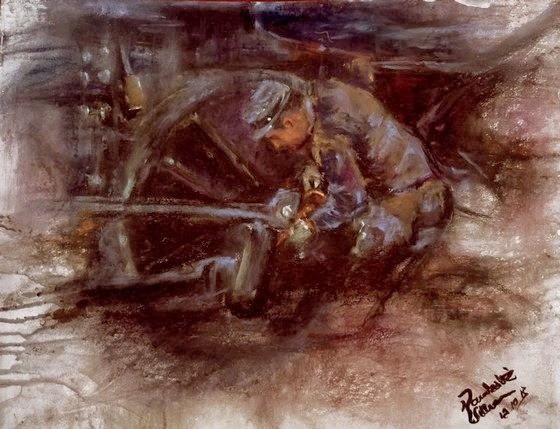 Technique: Loriann points out that each painting goes through a process that begins with an underpainting and progresses with thin layers of glaze. it is often necessary to scrape, rub or sand the surface in order to maintain the translucence sought. Small plein air paintings and colour notes precede the studio work. Image View: Thumbnails enlarge twice, and may be scrolled. Little information is provided on dimension. Field at Dusk is an exception at 6x6 ins, and I have featured it because it is near actual size and must represent the artist’s plein air passion.